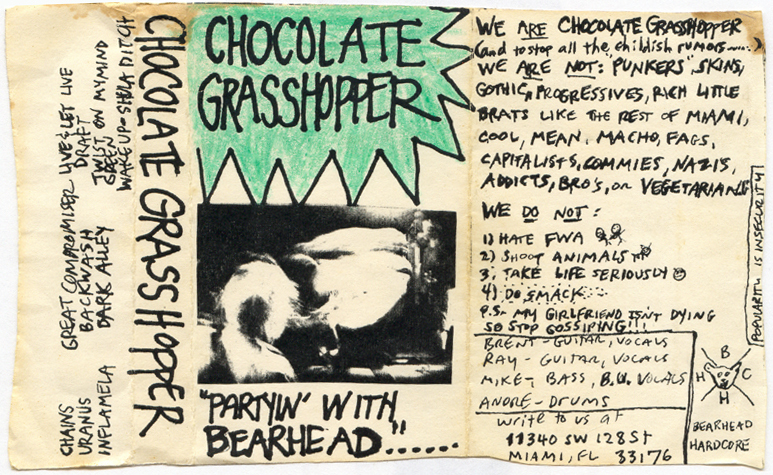 Chocolate Grasshopper broke onto the Miami punk rock scene sometime in 1987. We had the Cameo Theatre back then. The Cameo was more than a venue it was a refuge. It was the heart and soul of Miami's underground. Behind the Cameo was the famous "Sands Hotel". With a little help from Reaganomics the Sands closed down and left a huge pool and cabana area vacant and out of view. We would drain the pool and skate until The Cameo would open. That's how I want to remember Miami. 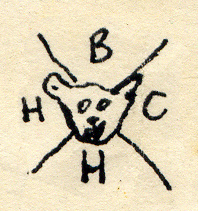 Chocolate Grasshopper's demo tape "Partyin' With Bearhead" was our soundtrack for those times. 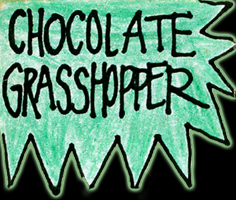 "Chocolate Grasshopper was a breath of fresh air. 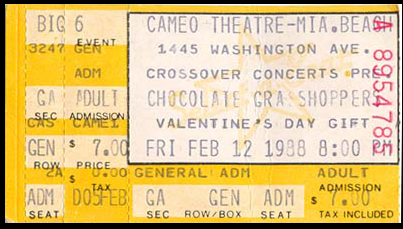 The first time I saw them was at The Cameo Theatre in 1987. The Miami scene was flooded with violence and tough-guy bands. Chocolate Grasshopper was different. Chocolate Grasshopper was for everyone." Song files are in iTunes format.